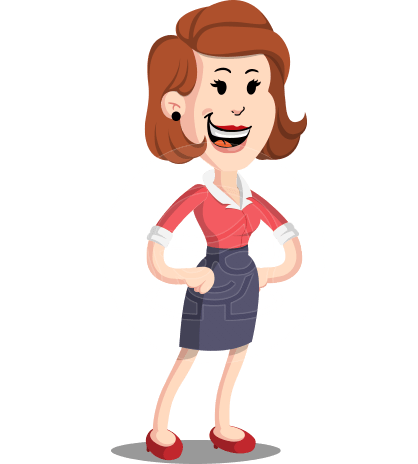 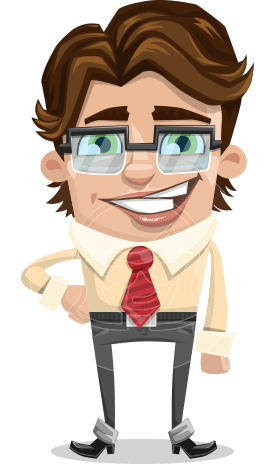 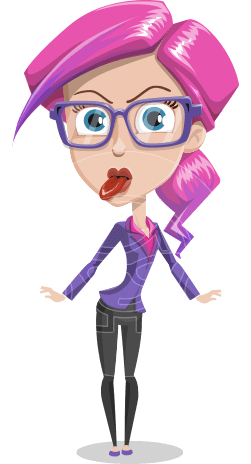 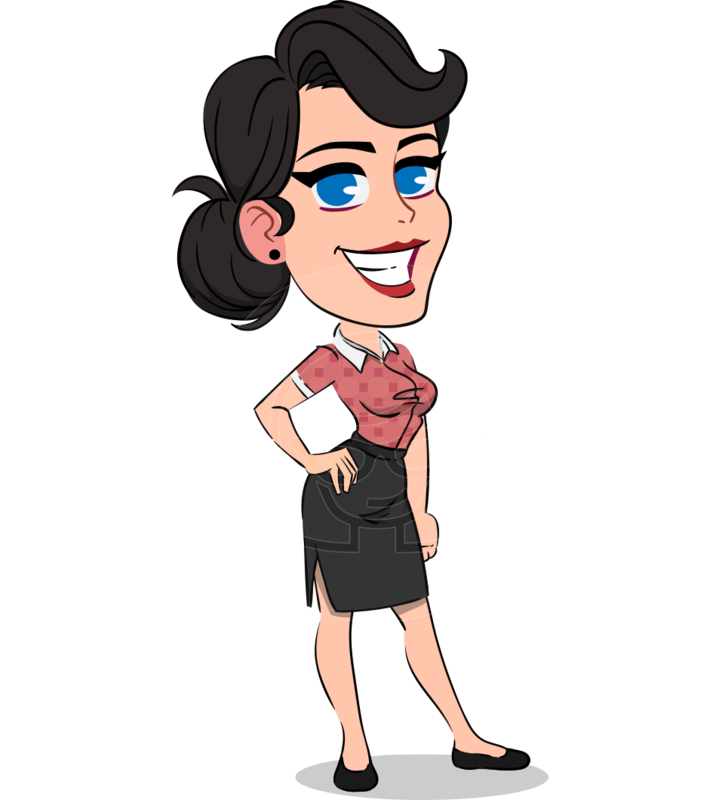 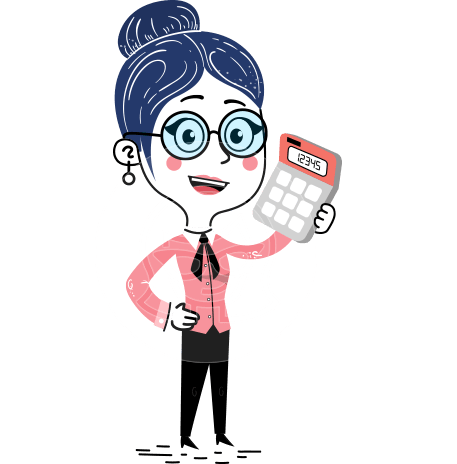 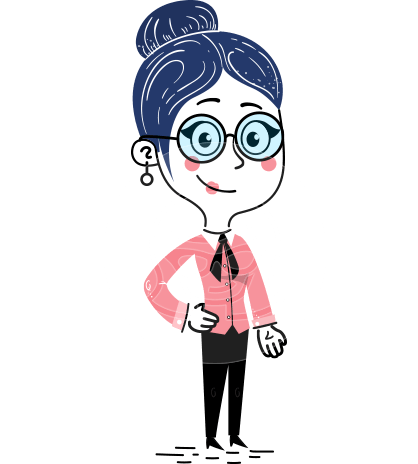 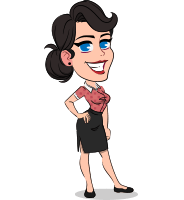 A pretty office girl cartoon character made in a simple flat style. 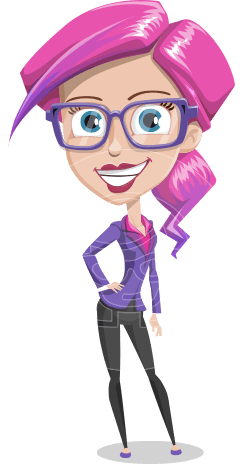 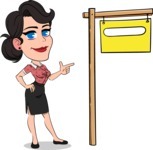 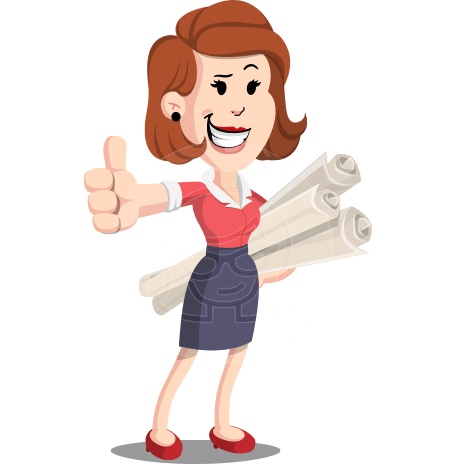 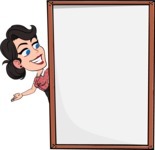 Dressed in an elegant outfit, this attractive cartoon woman can be used in a huge variety of projects - be it on websites, promotional banners, videos and more. 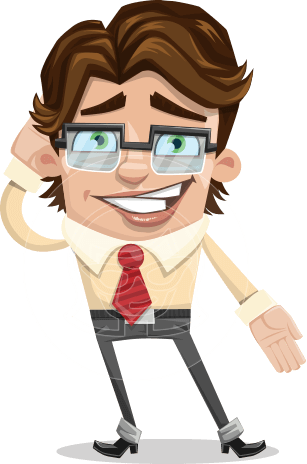 Available in the following file formats: Ai, Eps, Png, Pdf.